Categories: Acne Treatment, Skincare, Facial Creams, Duos, Facial Cleansers. •A daily facial cleanser and moisturizing cream duo. •Contains AHA’s from sugar cane and natural fruit enzymes to purify without over-drying. •Excellent to exfoliate the skin. •Assists to reduce the appearance of age spots, acne scars & irregular pigmentation. •Highly recommend to apply sunblock during day time. •Sugar cane wash & cream contain an alpha hydroxy acid (AHA) that may increase your skin’s sensitivity to the sun and particularly the possibility of sunburn. •Use a sunscreen, wear protective clothing and limit sun exposure while using the sugar cane wash & cream. 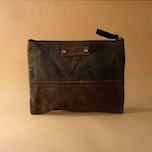 •NO PARABENS, PHTHALATES, COLORANTS, FRAGRANCES OR HARMFUL CHEMICALS. 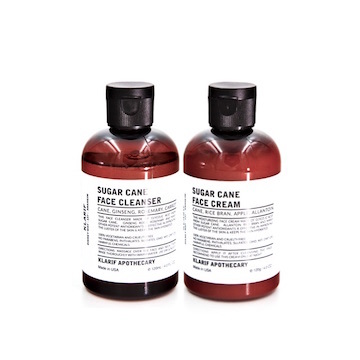 I originally had ordered the 3 Monsters Acne Treatment Kit so I could try out the Sugar Cane duo on my skin before committing to the larger size. These products helped my breakouts SO much that I ended up ordering the full-size duo and it has been my go-to for the last 7 months and counting. Not to mention they smell great! I first encountered the Klarif product line and the owner himself by chance while taking my boys for a quick spin through the Main Place Mall in Santa Ana on a rainy day last fall. What a stroke of luck that was indeed. As a mid-aged male having grown up in the salt water and sun of Southern CA, I always had average, at times good complexion. But, as I aged, I also carried the belief that with the right product, my complexion could become, at least better than it was. After spending some time at the store with Klarif and his knowledgable staff, I was more than eager to set aside some of my other well known mens specilaity facial products and give the Klarif “chemical free” products a go. Armed with the Black Magic charcoal soap, Sugar Cane Wash and Cream, and not to forget the tranquil Black Magic Wash which is so good its good enough to almost save as a special occassion treat so as to not use it too fast, but with no such luck, as the wife has seemed to have taken possession of it, as we soon began to in fun, bicker over who used all the Klarif product. She, of Fijian origin has the all natural virtually perfectskin from head to toe, whom now swears by the products as well. I can no doubt say that this was that one product, that really did make that noticeable difference in my complexion. And, in fact may have given me an extra boost in self confidence having seen noticeable improvement to nagging problem areas. And, on top of it, all at a price point that doesn’t put a big hurt on the wallet. Try it. See for yourself. 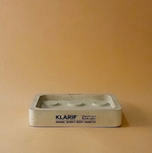 Much thanks to the crew at Klarif ! A life changer !